The American singer released her famous festive track back in 1994 and it's since become one of the most popular Yuletide tunes. Now, the song is about to be given a new lease of life, as Mariah has announced Universal is making a film based on its lyrics. "I am thrilled to be able to bring the story of my favourite Christmas song to new generations of families with my upcoming new animated movie, Mariah Carey's All I Want For Christmas Is You," Mariah wrote on Instagram alongside a teaser clip. "You're the first to hear about this exciting news! Don't forget to follow @AllIWantMovie for more updates. #AllIWantMovie." In the video, which features male voice-over, the star is seen reclining on a sofa in a pink gingham onesie while holding her pet dog Jill E. Beans, telling the camera, "I don't want a lot for Christmas, there's just one thing I need." Mariah will be narrating and producing the movie, which is being described as a "fun, and heartwarming holiday story". Universal's general manager and executive vice president, Glenn Ross, has also shared his excitement at the project, which is currently in production. "Like the song itself, Mariah Carey's All I Want for Christmas is You is destined to become an enduring family holiday classic," he said. "It is packed with family fun, holiday spirit, poignant moments - and of course, Mariah Carey!" The feature will be released through various formats including DVD in time for Christmas this year. 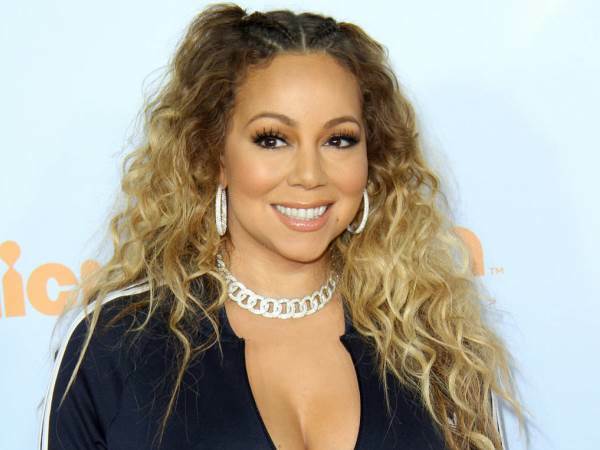 It will mark Mariah's second festive film, as the Hero singer previously appeared in 2015 small screen movie A Christmas Melody alongside Mean Girls actress Lacey Chabert.